Lyle Donaldson is President and Owner of Donaldson Funeral Home & Cremation. He grew up in Pittsboro and is the seventh generation of his family to live in Chatham County. Lyle graduated from Greensboro College with a BS in Business Administration and Economics. After experiencing the loss of his Grandmother while in college, Lyle found himself working a summer job at Hall-Wynne the following two years. After graduation, he followed a different career for a few short months. The desire to help families in their greatest time of need lead him to pursue a career as a Funeral Director. He enrolled in the Funeral Service Licensee program at Fayetteville Technical Community College and graduated in December, 2014. 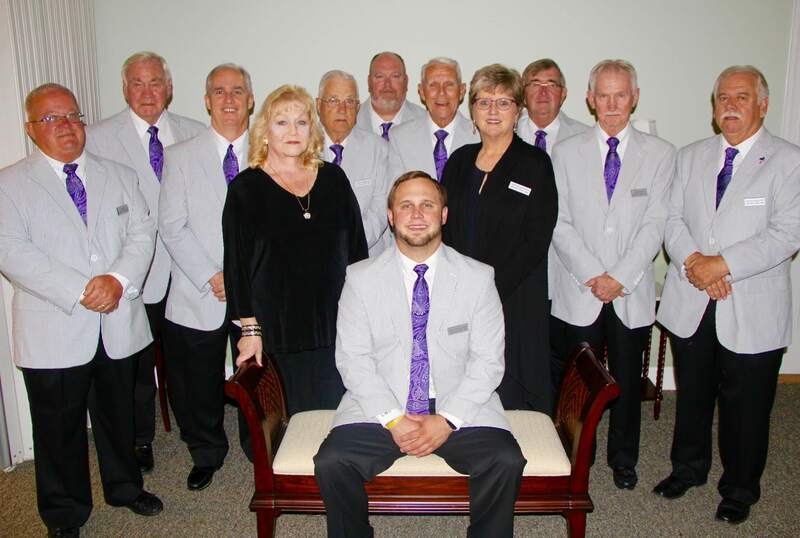 He was fortunate to serve his apprenticeship in Sanford, NC at Bridges-Cameron Funeral Home under the leadership of the legendary, Mr. Tommy Bridges. Lyle always had the desire to return home and serve the people of Chatham County. In 2015, the dream of owning his own funeral home, in his home town, became a reality when he purchased Hall-Wynne in Pittsboro. Lyle is very proud to return the business to private local ownership. The business was founded in 1916 by Mr. George Jeter Griffin at our same location and continued through three generations. Mr. William "Bill" Griffin, Jr., still active in the business today, was an important part of Lyle's decision to choose a career as a Funeral Director, mentoring him along the way. Lyle is a life-long member of Hanks Chapel United Church of Christ in Pittsboro, NC. In his spare time, he enjoys spending time at the beach, baseball, and most outdoor sports. In September 2017 Lyle was selected by Department Chair of Funeral Service Education Ronald Montgomery, Jr. to serve as a Board Member on the Funeral Service Education Advisory Board at Fayetteville Technical Community College. In October 2018 Lyle and Donaldson Funeral Home & Cremation were asked to serve as a Board/Coalition Member for Chatham-Orange Grief Oasis. A Grief Support Group in Chapel Hill. Lyle is a member of Columbus Lodge #102 A.F. & A.M. and a member of Rotary Club of Pittsboro, Chapter #88190. Lyle is the youngest of three children of Mark and Sara Donaldson. He is the proud Uncle of Chase and Finley. Mitch is a native of Guilford County and resident of nearby Siler City. He came to Pittsboro in February 2012. He began working in funeral service in 2000 and received his degree from Fayetteville Technical Community Colleges funeral service program in 2007. 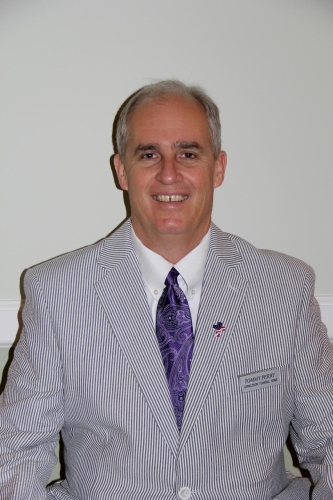 Mitch began his career as a Funeral Director in Pittsboro in 2012. A veteran of the United States Coast Guard, Mitch loves caring for people in their greatest time of need. Mitch is the father of a son and daughter. William L. "Billy Lewis" Griffin, Jr., is a native of Chatham County and resides in Pittsboro. Bill attended UNC-Chapel Hill and is a 1963 graduate of Gupton College of Mortuary Science in Nashville, TN. Following graduation, he joined his father and uncle in the family business - Griffin Funeral Service in Pittsboro. After his father's and uncle's deaths in 1973, he became owner/manager until 1997. He then served on a part-time basis until 2010. Billy Lewis was Lyle’s mentor from the beginning of serving his apprenticeship at Bridges-Cameron Funeral Home in Sanford, NC where Lyle served under Lee County Native Tommy F. Bridges. Billy Lewis came back home and began working at Donaldson Funeral Home & Cremation on a part-time basis when Lyle purchased the funeral home from Hall-Wynne. He continues to work and serve families that he has served in the past and families that he knows today. Bill is a member of Pittsboro Baptist Church and a member of Columbus Lodge 102, AF & AM. At present Bill is a musician-singer with Front Porch Ministry, a gospel band. A veteran of the United States Air Force, he is the father of four children Darlene, Daryl, Kathy, and Brian, and grandfather of eight grandchildren, and one great-granddaughter. Archie L. Hackney is a native of Chatham County and a resident of Pittsboro. Archie has been the owner and operator of Pittsboro Appliance Center for more than 30 years. Archie served proudly in the U.S. Army in Vietnam. He is a member of the Joe Wagner VFW Post 7313 and is very active in building a Veterans Memorial in Pittsboro. He joined the Hall-Wynne family in 2013. Archie is married to the former Peggy Riddle of Pittsboro and they have one son, Donnie Wayne. Archie and his wife are active members of Hanks Chapel United Church of Christ. Don Whitt was born in neighboring Siler City, NC and grew up in Bear Creek area. He graduated from Bonlee HighSchool and attended Meroney's Methodist Church as a child. After graduation, Don joined the U.S. Navy. He is married to the former Betty Roberson of Pittsboro. They have four children, 11 grandchildren, and three great-grandchildren. Don spent his entire career in law enforcement beginning 1965 as a Deputy with the Chatham County Sheriffs Department. In 1990 he was elected Sheriff and served for ten years before retiring in 2000 with over 35 years of service. Don and his wife are members of Pittsboro Baptist Church. He is also a member of Columbus Lodge 102, a Master Mason and a past Master of Columbus Lodge 102 in Pittsboro. Don joined the funeral home after his retirement in 2000. 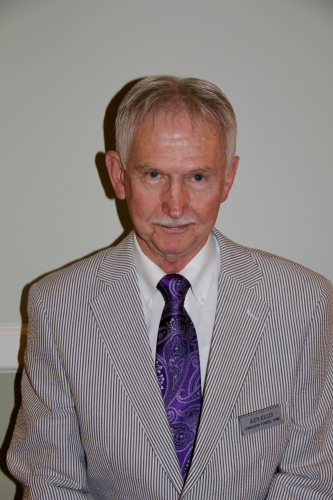 Tommy Perry is a native of Chatham County and a life long resident of Pittsboro. He spent 30 years with the North Carolina Division of Community Corrections and joined the funeral home in 2009 after his retirement. Tommy, and his wife Kelly, are active members of Pittsboro United Methodist Church. They are the proud parents of a daughter, Candace. Ken is married to the former Betty Jean (BJ) Council. They have a daughter, Gidget Jenkins and a son, Wyatt Ellis. They are the proud grandparents of Brandi Morris, Kasey Jenkins, Angelica Ellis, and Cheyenne Ellis. 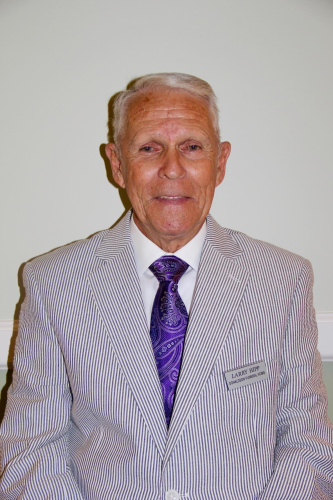 Ken has enjoyed working at the funeral home since 2007. 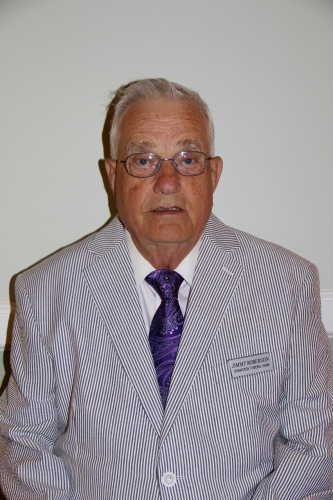 Larry O. Hipp is a native of Chatham County and a resident of neighboring Moncure. Larry is retired from the Town of Pittsboro Police Department where he served as Chief of Police. Larry grew up in Moncure and graduated from Moncure High School. He served nine years in the National Guard in the 30th Infantry Division. Larry is married to the former Mildred Thomas and they have two children Jamie H. Hinsley and Christopher L. Hipp. He enjoys fishing, reading, and traveling the western United States. Larry and his wife are active members of Gum Springs Baptist Church in Moncure. Jimmy Roberson is a native of Chatham County and resident of Pittsboro. He is retired from UNC Chapel Hill Campus Police. Jimmy has two boys, Allen Roberson and wife Robin and David Roberson and wife Christie along with two grandchildren, Taylor and Wesley Roberson. Jimmy is a member of Mt. Gilead Baptist Church and has been working at the funeral home since 1999. Ed High is a native of Durham, NC and now resides in Chatham County after retiring from IBM. Ed and his wife, Debbie, are the proud parents of Jennifer Rhodes and Chris High. They enjoy spending time with their three grandchildren, Kaitlyn Rhodes, Daniel Rhodes and Sadie High. Ed and his wife are members of Rocky River Baptist Church in Siler City, NC. He has enjoyed working in the funeral industry for over 20 years. During peach season you will find Ed harvesting over 90 peach trees. Patt is a native of Chatham County, growing up in the Bells Community and attending Bells Baptist Church growing up. After graduating from Northwood, she received a BS in Chemistry from The University of North Carolina at Chapel Hill. Patt also has a AAS in Respiratory Therapy. Patt retired in 2011 from UNC Hospitals after 30 years of service, with 10 years of service on the Carolina Air Care Team and Manager of Anesthesia Support for 20 years. Patt is married to Terry Sturdivant of the neighboring White Cross community. They have two children, son Blaine, and he is married to the former Elizabeth Parks of Pittsboro, daughter Brittany Sturdivant and one grandson, Colby Sturdivant. Patt and her husband attend Mt. Carmel Baptist Church in Chapel Hill. They are also very active with Living Free Ministries and the Durham Rescue Mission. Patt joined the funeral home in 2015 and has been a major key to our Administrative team. She is currently in school at Fayetteville Technical Community College in the Funeral Service Education program to obtain her Funeral Director’s License. Debbie Horton grew up in the Carpenter Community in neighboring Wake County. Before retiring she worked many years with Heartland Home Health Care in Raleigh. 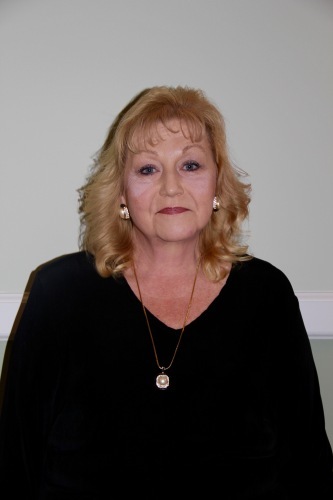 Debbie joined the Donaldson Funeral Home & Cremation staff in April 2017. In her spare time Debbie enjoys traveling to the Outer Banks, Pidgeon Forge, TN, and attending antique and craft vendor shows. Debbie is married to Ed High and they reside in Siler City on the family farm with her father George Wayne Horton. Debbie and Ed attend Rocky River Baptist Church in Siler City.